Today, Coimbatore (Kovai in Tamil) is a commercial city of considerable importance; it is home to over 60 spinning and weaving mills and textiles is its main industry. It is also well known for motor sports with regular events being held at the Kari Motor Speedway. The region around Coimbatore was ruled by Sangam Cheras and it served as the eastern entrance to the Palakkad Gap, the principal trade route between the west coast and Tamil Nadu. The Kossar tribe mentioned in the second century CE Tamil epic Silappathikaram and other poems in Sangam literature is associated with the Coimbatore region (Kongu Nadu). Large numbers of Roman coins and other artifacts have been unearthed around Coimbatore, indicating the region's ties with Roman traders. The Coimbatore region is in the middle of the "Roman trail" that extended from Muziris to Arikamedu. The medieval Cholas conquered the Kongu Nadu in the 10th century CE. A Chola highway called "Rajakesari Peruvazhi" ran through the region. Much of Tamil Nadu came under the rule of the Vijayanagara Empire by the 15th century. The Vijayanagara reign brought new settlers from Andhra Pradesh and Karnataka. In the 1550s, the military governors (Madurai Nayaks) of the Vijaynagara Empire took control of the region. After the Vijayanagara Empire fell in the 17th century, the Madurai Nayaks established their state as an independent kingdom, with other Vijayanagar offshoots forming new kingdoms in Vellore, Tanjore, Gingee, Chandragiri and Mysore. The Nayaks introduced the Palayakkarar system under which Kongu nadu region was divided into 24 Palayams. In the later part of the 18th century, the Coimbatore region came under the Kingdom of Mysore,following a series of wars with the Madurai Nayak Dynasty.When part of Kingdom of Mysore the region was under the administration of Hyder Ali and later Tipu Sultan of Mysore. After defeating Tipu Sultan in the Anglo-Mysore Wars, the British East India Company annexed Coimbatore to the Madras Presidency in 1799. The Coimbatore region played a prominent role in the Second Poligar War (1801) when it was the area of operations of Dheeran Chinnamalai. In 1865, Coimbatore was established as the capital of the newly formed Coimbatore district and in 1866 it was accorded the municipality status. Sir Robert Stanes became the first Chairman of the Coimbatore City Council. Industrialization of the region begin in 1888 and continued into the 20th century. The region was hard hit during the Great Famine of 1876–78 resulting in nearly 200,000 famine related fatalities. On February 8, 1900 an earthquake struck Coimbatore damaging many buildings. The first three decades of the 20th century, saw nearly 20,000 plague related deaths and an acute water shortage. The city experienced a textile boom in 1920s and 1930s due to the decline of the Cotton industry in Mumbai. The region played a significant role in the Indian independence movement.Post independence, Coimbatore has seen rapid growth due to industrialization. In 1981, Coimbatore was constituted as a corporation. 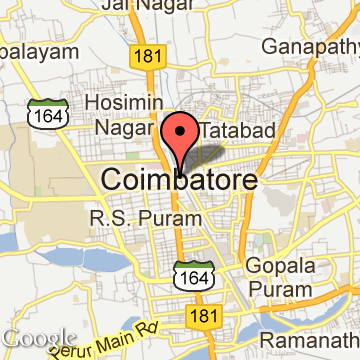 Coimbatore Tourism - Get all information on Coimbatore tourist places and sightseeing tours. Our website helps you plan your next tour and gives you great ideas on what to do, where to eat, where to stay and when to go there. We give the best information from the web to give you precise, meaningful and useful travel guide for leading places to visit in India and from across the world. Our travel information on COIMBATORE tourist places, tourist attractions, major sightseeing, the best time to visit, the top places to visit in Coimbatore, the must-see things to see and do, maps, restaurants, hotels, nearby tourist destinations, local public information and more. 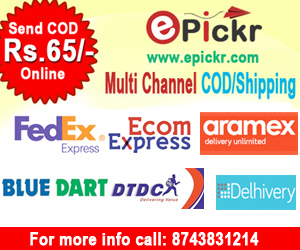 To start with check out information on how to reach Coimbatore.